“Leveraging AWS, we’re able to spin capacity up or down on demand to meet customer needs, investing in innovation instead of hardware. " Sony DADC New Media Solutions (NMS) has been at the forefront of the media supply chain since 2009. Under its Ven.ue brand, NMS provides digital supply chain solutions targeting major film studios, broadcasters, and other content providers. Ven.ue provides everything from over-the-top (OTT) content to companies like Funimation Entertainment; media processing and distribution to customers like Sony Pictures Entertainment; and smart-toy solutions to the broader entertainment industry. The NMS video division maintains a mission-critical custom supply chain application that is used every day by distribution partners to enable global content management and fulfillment. It is essential that this application is always available. “A large percentage of our revenue goes through our supply chain system, so we can’t let that application go down at any time,” says Mike Gassner, the organization’s senior vice president of technology solutions. The company was looking to enhance its disaster recovery capabilities, because the application was running on two Microsoft SQL Server 2008 R2 database software nodes in a data center. “Both nodes were located in the data center, so if the data center was ever impacted, we knew the application would be impacted too,” Gassner says. As it sought to address its investment in innovation and overall infrastructure strategy for the coming years, it made sense for NMS to move all its SQL Server–based applications to the cloud along with the rest of its applications. “We were at the point where we were going to have to refresh all our hardware, so it was the right time to think about what a fully cloud-based solution looks like for our industry,” says Gassner. To facilitate the migration of its SQL Server database environment to AWS, NMS chose to work with Datavail, an IT services provider that is part of the AWS Partner Network (APN). Datavail is an AWS Microsoft Workloads Competency Partner that specializes in database solutions. Through the APN, Datavail is certified to offer applications and database solutions built on the SQL Server platform on AWS. “By offering SQL Server solutions on top of AWS through the APN program, we can ensure scalability, flexibility, and high availability to our customers,” says Sivakumar Thangavelu, SQL Server database administrator at Datavail. After an initial assessment, Datavail helped NMS migrate its 1-terabyte SQL Server workloads, including the company’s supply chain application, to SQL Server 2014 running on AWS. The SQL Server environment runs on three Amazon EC2 instances, and it takes advantage of SQL Server 2014 AlwaysOn Availability Groups for enhanced availability and disaster recovery. Datavail provided planning, testing, and execution throughout the project, including I/O performance testing that compared database performance on AWS to the performance in the NMS data center. The Datavail team was instrumental in mapping the on-premises SQL Server requirements to AWS. 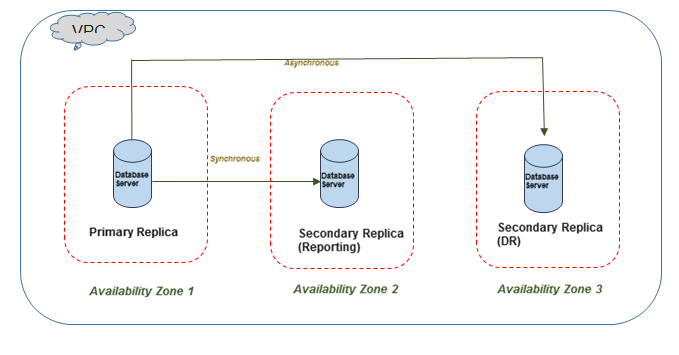 SQL Server database backups are stored in Amazon Simple Storage Service (Amazon S3), and they can easily be deployed from Amazon S3 for restoration in stage, dev, and test environments. The new database architecture designed by Datavail for Sony DADC. By running its SQL Server databases on AWS, NMS can ensure high availability for its mission-critical supply chain system. “We get the availability and resiliency we need for our SQL Server–based supply chain application, because we can take advantage of multiple AWS Availability Zones as well as SQL Server AlwaysOn Availability Groups,” says Gassner. “We can make sure our customers can access the system even in the event of a node failure.” If a failure did take place, the database would automatically fail over to a secondary synchronous node and business as usual would not be affected. Datavail, a member of the AWS Partner Network, is a Colorado-based data and database services provider. The company offers solutions in BI/DW, analytics, database administration, custom application development, and enterprise applications. It also provides professional and managed services that focus on Microsoft, Oracle, and other leading technologies. For more information about Datavail's services, go to the Datavail website.